I remember I stayed away from FB not of my own willpower years ago. At one point you couldn't make a facebook account without being in college. Now I was not only a member but I also have a college degree, so apparently they hate me lol. 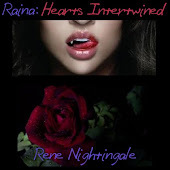 Currently working on book two in my Raina Series! I know it is kind of weird since I haven't even published the first book yet. Right now I am writing seriously while juggling school and family life together. If anyone know of an easy method to landing an agent, please feel free to contact me at renenightingale@gmail.com lol. 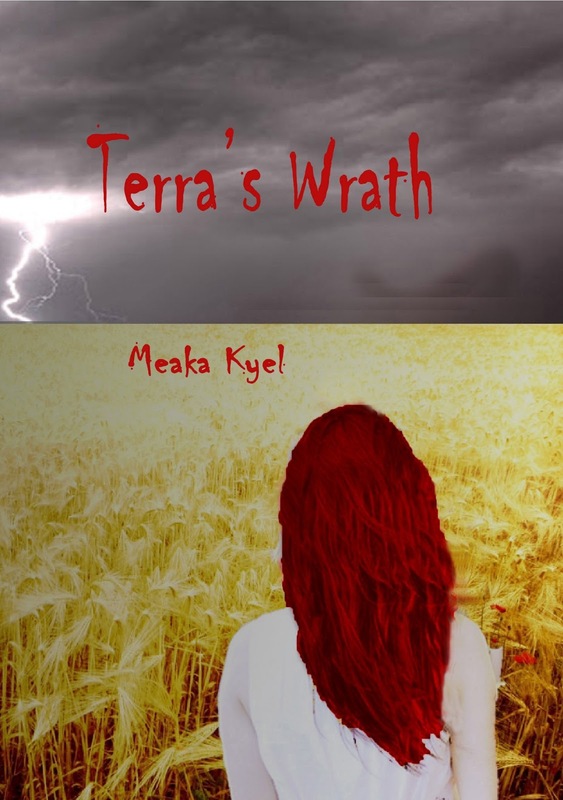 I was pick as a Blog Tour Stop by Meaka Kyel to spread the word about her newest book Terra's Wrath! Okay the truth was I kept asking to be on the tour and she finally gave in! Below you will find a synopsis as well as my take on the book. Oh did I forget to mention you need to sign up to enter a chance to win an Ebook and Swag? I had the honor of receiving a copy of the book from the very talented, beautiful, Canadian Meaka Kyel! From the start I was pulled into Gabby’s world and I never wanted to leave. I try my best like so many other people to not think about the upcoming Zombie Apocalypse, but after diving into Terra’s Wrath, I feel I am better equip for the end of the world. I will accept this as my new How to survive the Zombie Apocalypse Handbook. Why I picked that one? : It’s the same thing my spouse would say to me! The action had me turning pages questioning who will live to make it to the next scene. The chemistry between Gabby and Lane was amazing. Everything that was going on around them just drove the two of them closer. One thing I learned after reading Terra’s Wrath is that in the end, being around the ones your love is more important than anything else in the world. You know what? This time last year I was jobless, and the year before last I was jobless, but I still have the strength to smile and laugh. I have wonderful family (which I call many names besides wonderful). I am still writing and before the end of this year, I will have a book with my name on it! Unless the world really ends in December 2012. This is crazy talk I tell ya! I know I've been missing in action these few months. I've been busy working on book 2 and other writing projects. Finally got good help and will have website up by this Sunday! My first book is schedule to be release July 15, 2012! It is presently being fine tuned. Thank you all for so much patience! It is Saturday and guess what? Site still not up! As you know by now if you come to Renenightingale.com you will be directed to my blog. I've decided to get professional help to complete my website. There comes a time when a person have to venture out and get the help they need. Right now I need help and I have found the right person to help me. Currently a new book cover is being designed. I hope to be revealing it soon as it is finalized. Awaiting my final edits to be returned. Presently working on book 2 in the Raina series. Where do you stand on fanfiction? © 2011 Rene Nightingale. Powered by Blogger.